My muse finally woke up after a lengthy period of hibernation. I think she used my airline miles for a trip to the tropics (she's awfully tan for someone who was hibernating). 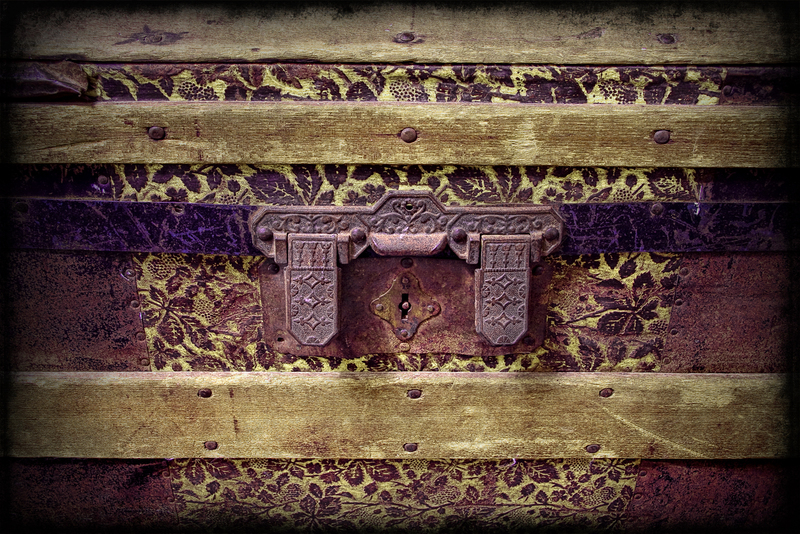 Wherever she was, she collected a steamer trunk full of ideas and inspiration and projects for me. But I have a problem: If I don't keep those ideas right in front of my face, I forget about them. I lose track of what I wanted to do, and I stop thinking about how I'm going to accomplish it. I get distracted by where I am, instead of thinking about where I'm going and what I'm doing. So, I'm going to make a vision board. In fact, I may create one for every room in my house. What's a vision board? It's the grown-up girl's version of your high school locker, or that overcrowded bulletin board you had behind your bed, or the collection of ephemera tacked to the corners of your mirror. It's a visual representation of things that inspire and encourage you, a way to explore your potential and map out where you're headed. Some of you probably already do this on some level. You might have a file on your computer with pictures that resemble your story's hero or heroine, or a shoebox full of travel brochures for all the places you hope to visit tucked under the bed. Taping scripture verses to the refrigerator or bathroom mirror is a kind of vision board. If you like to decorate, you might keep a folder stuffed with magazine clippings in your desk. In my current artsy-crafty mode, I've got more DIY projects bookmarked on my computer than I can contemplate. 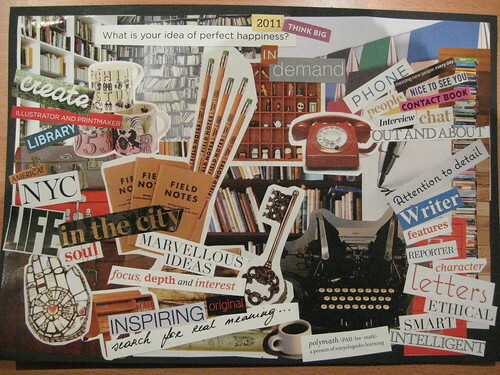 I'll start with a vision board for the writing projects I'm working on. The notes for my story – names and dates and places – along with pictures, postcards, quotes, and so on. It should go on my desk, where it's easy to refer to when I'm working. My kitchen board might be covered with ideas for my family. Recipes to try, gift ideas for upcoming birthdays, scripture verses to speak concerning them, and a few favorite pictures of each one. The bedroom board could be dedicated to the vision for my marriage. Whether you've had two or twenty years together you still need a vision for your future. The living room board might focus on friends and neighbors and extended family members. You know, those charming individuals you want to invite over for dinner, or meet for lunch, or go visit for the weekend. Really, you DO want to spend time with them, but the daily grind keeps chewing up the days. Perhaps seeing their names and faces on the wall every day will yank you out of the hamster wheel of life. 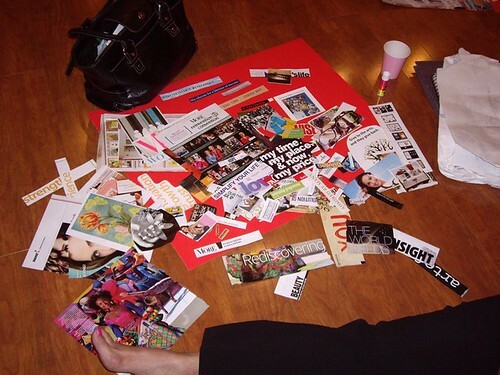 Are you already a fan of the vision board idea? If so, how have you used them? Any tips for creating them? Vision? I'm still trying to figure out what ephemera is. I don't suppose a shopping list on the back of a junk mail envelope counts, does it? it's too cold!!! No wonder your muse went south, Niki. As I mentioned once in an old post, I have scriptures painted on my walls. But now I'm realizing they've been there for seven years and we're probably due for some new ones. I also have a menu board in the kitchen so I can remember what meals I bought at the grocery store when I'm lost in storyland. Deb, stay warm! We just came out of that nasty deep freeze. Supposed to have a high of 24 today! Yay! Ephemera are "items designed to be useful or important for only a short time, especially pamphlets, notices, tickets, etc." So the prom corsage, and the concert ticket stub... things we collect that weren't meant to be durable. There's also a genus of insects called Ephemera, because they have short life spans. Dina, I have a menu board, too! I used to print one out every week, but then I saw this cute thing you print and put in a frame, and then write in the meals with dry-erase pen on the glass. Before you repaint, you might look into the vinyl cut-out wall art. You can custom order pretty much whatever you want. Or find a friend with a Cricut or Silhouette machine. Then you can change out your scripture verses as often as you like! Not a bad idea, since we tend to stop "seeing" them after they've been up a while. I'm thinking of doing that for our blank walls at the church. My menu board is a chalk board. I like the vinyl stick ons. I just decorated my son's room with electric guitars, drums, and music notes. Fun! I bought my hubby a Silhouette for his birthday (he wants to make mirrors with scriptures on them) but I haven't tried to use it yet. Niki, this is so fun. I love the Habakkuk scripture. I made a vision board for a book I've set in the South of France. My board has pictures of lavendar fields, window boxes with flowers, the French countryside, a chateau, and an old stone Abbey ;-). Also, I put little postcards and travel memorablilia on it. It is very inspiring and great fun. Dina, I can so picture your walls with scriptures painted on them. It sounds so lovely. Suzie, cool! I'd make a France vision board just because I like France! Did you know there is a writer's conference in the South of France every year? I have it bookmarked because someday I'm going to go! Oh, Niki! A writer's conference in the South of France? Could it get any better? I must add that to my list of things to do when I finally get to go there. Oh, my. My dream of France just keeps getting better and better. What a great idea, Niki. I have a big, plain spot o' wall here in my office just begging for something. A vision board would would be encouraging, personal and lovely, if I can get Suzie to help me make it French-countryside-ish. Or English gardeny! Thanks for the post! It's got me thinking! Love the post. I'm in the process of rebuilding and revisionizing. :) I just got a book out of the library about this to explore some new ideas. I call it procrastination. :) But seriously, I think it's important to have a vision and really put some thought into it. I like doing storyboards too, but don't have time right now. Susie, go for it! I spent all afternoon yesterday creating a cardboard cubicle around my desk so I can have some wall space! When I get something on it besides duct tape I'll send pictures! Jillian, I haven't tried storyboarding, but my son has (he's into movie making.) Maybe it would help me with my synopsis problems.